The Bermuda ITF Junior Open continued at the WER Joell Tennis Stadium continue with Quarter-Final action taking place early in the day, we have decided to report it early so that the printed press would have something to copy as they have failed to cover the event due to us reporting the information later that printing time…. The number one Boy’s Singles seed Spencer Brachman from USA advanced to the Semi-Finals with a straight sets 6-2, 6-2 win over Charlie Penman from Great Britain, while the number one Ladies seed Nicole Kiefer from USA advanced to the Semi-Finals with a straight sets 6-0, 6-1 win over Aleia De Buretel from USA. 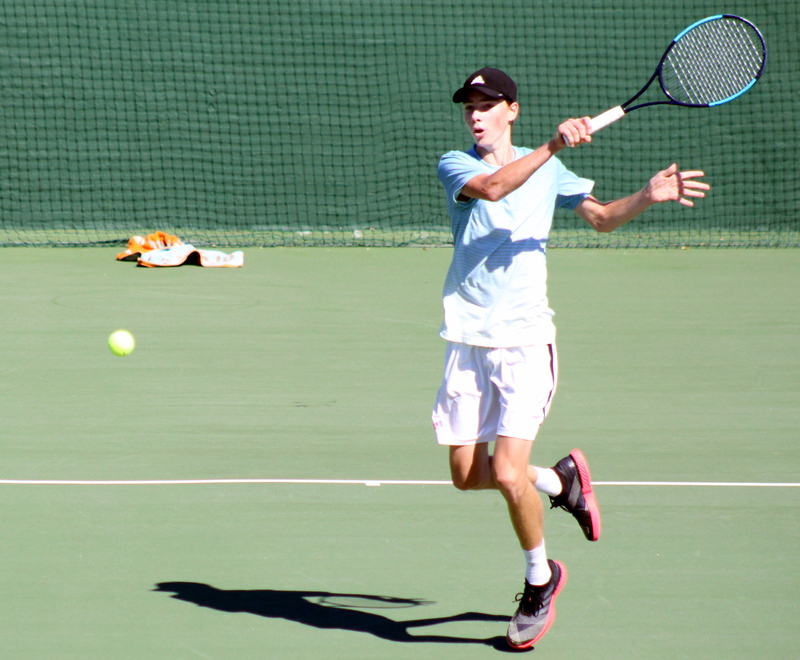 Bermuda’s Trey Mallory and his doubles partner Matthew Doe from Great Britain advanced to the Doubles Semi-Finals with a 6-4, 6-1 win over Philippe Mercelina from the Netherlands and Juan Jose Vega Lebrija from Mexico. Bermuda pair Scott Redmond and Tariq Simons went down in their Doubles Quarter-Final match in straight sets 6-4, 6-1 to Spencer Brachman and Jeffrey Fradkin both from the USA. We will have all the results later on today.